I heard the term ‘Podcast’ for the first time, when I was burning a feed on Feedburner. They asked me, if I want to burn my feed as a Podcast? I did not know what the Podcast is? I just said yes! I learned about Podcast eventually over the period of time. 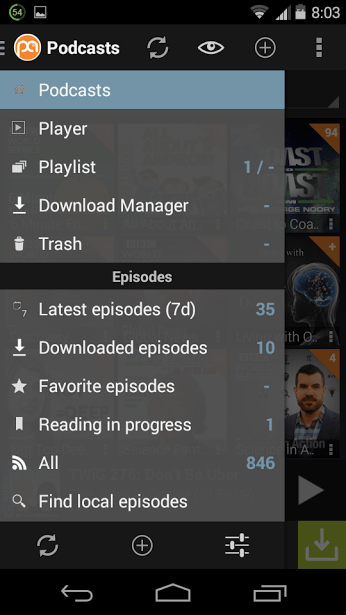 I use Podcast player application on my Android phone to manage my Podcast subscriptions. 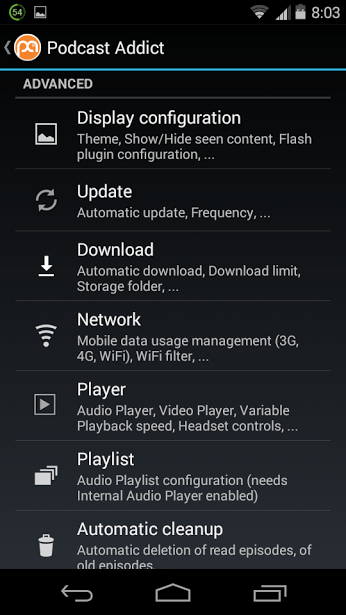 I tried few applications and then choose the one which I think is the best Podcast player for Android. Podcast is basically the feed that contains media, like audio and video. But when we talk about Podcast, we usually talk about the audio Podcast. You have to watch your favorite TV shows on TV at a specific time, but you can watch YouTube videos at your convenient time. Similarly, you have to listen your favorite radio shows on time, but you can listen audio Podcasts at your convenient time. YouTube is like a service that supports video podcasts. You can subscribe to YouTube channels. Similarly, there are Podcast applications that support Podcast subscriptions. You subscribe to the set of audio streams from a specific source. It is like subscribing to the blog and then you see the recent posts from that blog on your feed reader, like Feedly. I love listening podcast episodes. I use Podcast Addict for that purpose. The app works perfectly well and it is available for free on Google Play Store. The free version of this app includes all the Podcast Addict features, but there is a small ad banner at the bottom of the app. If you do not like ads, you can pay around $3 to get Pro version. Why I call it the best Podcast player for Android? Let us have a look on its features first. You can not only subscribe to the audio podcasts, but you can also subscribe to the RSS feed of your favorite blog or news network. You can use Podcast Addict as a RSS feed reader. You can also track the video updates from subscribed YouTube channels. You can download audio podcast episodes. Download the episodes, when you have access to the internet and then listen to those episodes by your convenience. You can save Podcast downloads on the memory card. Podcast Addict has a great Podcast directory. You can directly subscribe to the Podcast by entering its url or you can search through the Podcast directory of Podcast Addict. iTunes search engine is also supported. If you have a OPML backup of your podcast subscription, you can import it on Podcast Addict. The user interface! I like the overall user interface of Podcast Addict. It can be confusing for a new user at first, but you will get used to it eventually. I use black theme. There are so many setting options, like update frequency, automatic download, internet networks to use and player settings, etc. I have tried Podcast Republic and Podkicker Podcast Player and I think Podcast Addict is better than these two apps. The app has more than 1 million downloads and it has 4.5 star ratings by more than 75 thousand people. 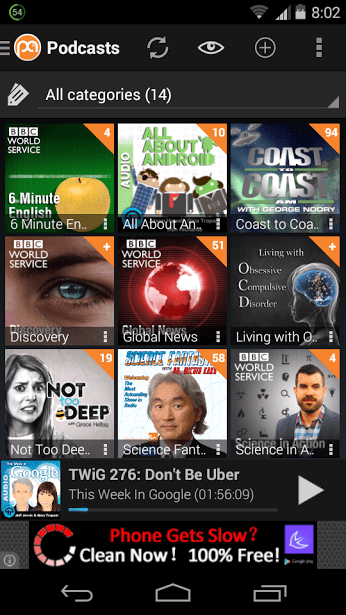 Podcast Addict is the best podcast player for Android for me! What is your review for Podcast Addict? If you use other Podcast player, tell us about it.